Air beds usually come in the same sizes of the regular mattresses such as in full, twin, queen, and king. But there are as well individual differences with regards to the dimensions of the air mattresses. One of the most important things to consider once selecting the size could be the edges since some air mattresses could never be as supportive compared to traditional mattresses. It would be advisable to consider buying the larger one as the best option. 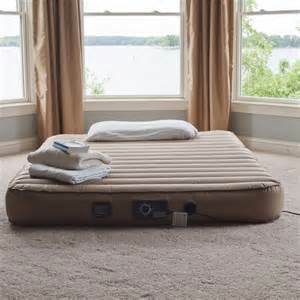 It is believed that to be more comfortable choose a thicker inflatable air mattress. This might not always be the situation, but it could be concluded that the more air in between would be the better. Also, thicker and raised air mattresses could be felt like a real bed since it would be easier to get out compared to the one which is being closed to the ground. 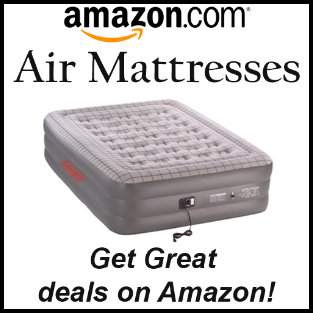 The features that the air mattresses could offer must be considered. There are numbers of air mattresses that provide soft velour or suede top which could be more comfortable regarding lying against compared to those that are using PVC. The softer top is not slippery as how the PVC is so there will be lesser chance of sliding off into the sides. Air mattresses must have pumps as well. Some of the air pumps might need power source such as car power outlet and wall outlet while other types of pumps might be using batteries. 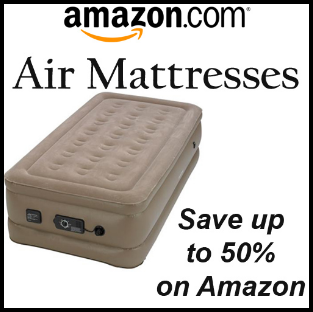 You would not buy air mattress if you aren’t using it at all, right? So in buying air mattresses consider thinking about its applications. You might consider how you are going to use the inflatable air mattress. If you are planning to use raised air bed for entertaining your guests, then you might not find compact and lightweight air mattress. However, once you are to use it for outdoor activities such as camping, you can consider something that could fit into your tent and so make of thick PVC that might not quickly develop a leak. Buying air mattresses could be easier once you know what you are looking for. 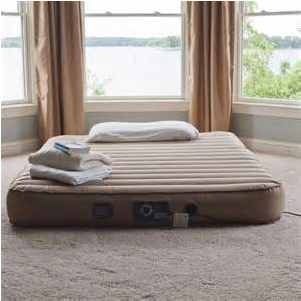 If you are equipped with enough ideas about the best air mattress then purchasing the best one could be guaranteed. Size, height, features and uses are some of the factors needed to ponder on first before making any purchase of air mattresses that come into numbers of options available in the market today. Hi everyone! My name is Alexander Fields and I live in Miami. I am a musician and I travel frequently for gigs. I've had to sleep in some pretty ridiculous places (like on top of our tour van - thanks Ronny) so I'm always grateful to have a spot on an air mattress. But I have to admit they can sometimes be even worse than the ground. I hate waking up in the middle of the night to find that I'm sleeping on a deflated tarp instead of an air mattress. It's like biting into a donut you think is filled with jelly but has lemon custard instead, not life ending but certainly not what you were expecting. I hope you can get some solid advice from my site.